Lord George Murray and his orders for Culloden from the Cumberland Papers in the Royal Archives. This entry was posted in Library and tagged Acts, Ascanius, Bookshelf, Bookshelf, News, Events, Jacobite Bookshelf, Jacobites, Letters, Library, Links, Maps, News, The Stuart Papers on October 30, 2011 by dwwaddell. An extraction of two letters written by Major James Wolfe (later General)(regarding the Battle of Culloden) April 17, 1746 from Wolfe in Scotland in the ’45 and from 1749 to 1753, by J. T. Findlay. Authentic Copies of the letters and other papers of the nine Rebels a pamphlet released in August 1746 concerning the last words of nine of the Manchester Regiment who were to be executed on Kennington Common. On August 25th 1746 (O.S. ), Ralph Griffiths unsuccessfully petitioned the Duke of Newcastle, then Secretary of State, to release his pamphlets for which he had been arrested. This entry was posted in Library and tagged Acts, Ascanius, Bookshelf, Bookshelf, News, Events, Jacobite Bookshelf, Jacobites, Letters, Library, Links, Maps, News, The Stuart Papers on October 25, 2011 by dwwaddell. 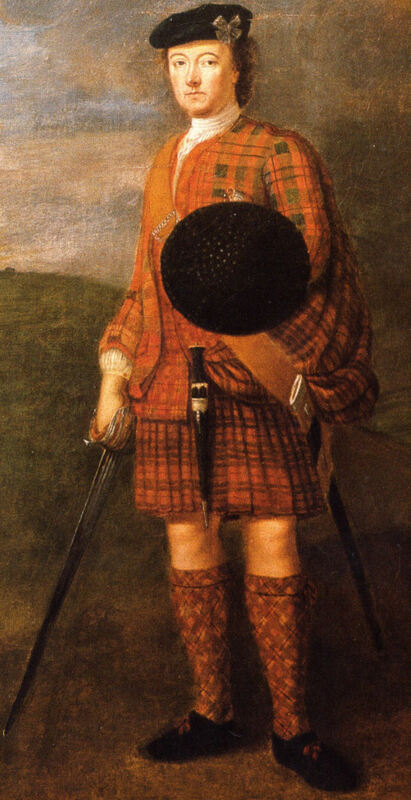 Prince Charlie’s Friends or Jacobite Indictments by D. Murray Rose (1896). The witnesses (evidences) against the Jacobite prisoners are all here including Captain John Vere whose life was spared by Charles Edward Stuart after he was to be hanged as a spy. Also John Hickson, a vintner from Perth, who was captured at Newcastle upon Tyne with papers from Charles requesting his English supporters to be ready for him coming. This entry was posted in Library and tagged Acts, Ascanius, Bookshelf, Bookshelf, News, Events, Jacobite Bookshelf, Jacobites, Letters, Library, Maps, News, The Stuart Papers on October 23, 2011 by dwwaddell. The Roxburghe Club – Volume 59 (1843) is The Decline of the Last Stuarts. This entry was posted in Library and tagged Acts, Ascanius, Bookshelf, Bookshelf, News, Events, Jacobite Bookshelf, Jacobites, Letters, Library, Maps, News, The Stuart Papers on October 22, 2011 by dwwaddell. The Genuine Dying Speech of Parson Coppock. This pamphlet supposedly contains The Genuine Dying Speech of Parson Coppock. This entry was posted in Library and tagged Acts, Ascanius, Bookshelf, Bookshelf, News, Events, Jacobite Bookshelf, Jacobites, Letters, Library, Maps, News, The Stuart Papers on October 21, 2011 by dwwaddell. The Lyon in Mourning Volume One,Two, and Three by Robert Forbes. The Lyon in Mourning Volume One is in much better condition with hundreds of spelling mistakes fixed. This entry was posted in Library and tagged Acts, Ascanius, Bookshelf, Bookshelf, News, Events, Jacobite Bookshelf, Jacobites, Letters, Library, Maps, News, The Stuart Papers on October 16, 2011 by dwwaddell.